Hello! 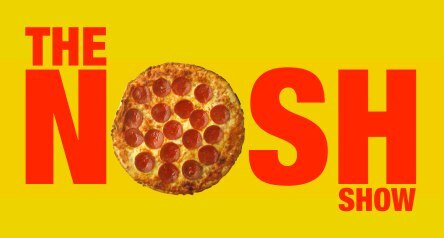 It's Nosh Monday! Did everyone have a good weekend? I usually just say my weekends are OK, especially during this very trying October, but the weekend definitely had some highlights. The kids got quality time with all their grandparents (which was a huge part of my childhood), plus I got to take a nice geek break on Saturday. I spend a lot of time being a provider, an employee, and a blogger, but it's been a long time since I took an afternoon off to just be a geek. Tanks, Jedis, zombies, tech talk, fresh off the grill chicken wings & burgers, and all went well. Good times. Anyway, episode 16 is upon us! Nosh or Notting, Noshes of the week, and our chew on this topic where we share some secrets of how we find all the new products that we bring to you guys every week. Click to listen below or visit the Nosh Show website for other listening options.